Posted byraviandalison	 December 4, 2013 1 Comment on The Adventure Begins! Alison wrapped up her last day of work for the near future last Wednesday and we embarked a few hours later on our great adventure. I’m currently on Sabbatical and have been biding my time until Alison was done. The first stop was Milpitas, CA to visit my brother, sister-in-law, nephew and parents who were also there. We packed up a TON of gear (XC skis, my snowboard and camping gear) along with the dogs (they get the royal treatment, taking up the entire back of Alison’s Suburu Outback!) and drove to the Bay Area on Thanksgiving day. We stayed in Milpitas for 4 days, visiting San Francisco and enjoying the ever present sunshine that the eastern part of SanFran Bay is known for. We are currently in wine country, and have picked Sugarloaf State Park (just north of Sonoma, CA) as our home base for two nights. On the way we visited the Marin Headlands and did some hiking on the few trails where they allow dogs (off-leash!). Some might consider camping to be “roughing it” but we have a massive 6-person tent that fits 2 humans and 2 dogs with plenty of room to spare. Our air mattresses are plush and we hardly notice the hard ground beneath us. 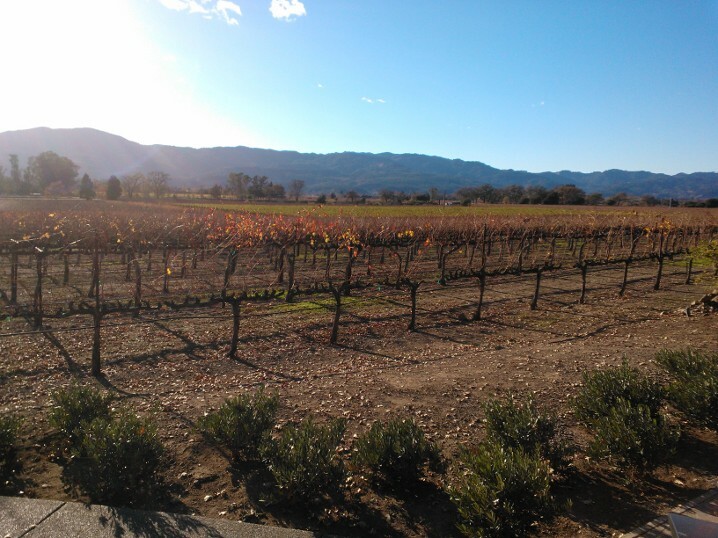 Today we did a 16 mile bike ride around the Napa wine country and tomorrow we head off to Yosemite and eventually will continue to Lake Tahoe for some skiing and then to Bend, Oregon for even more skiing. More updates from the road! 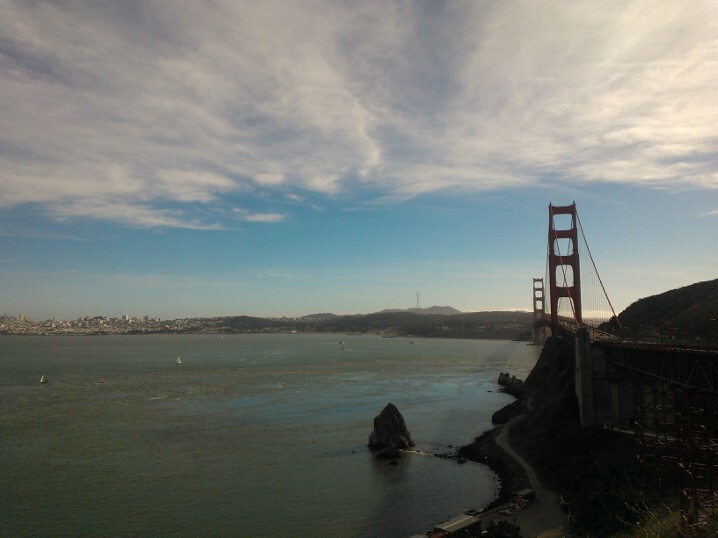 Golden Bridge from Marin Country. San Francisco, CA. Cliff Lede Vinyard in Napa, CA. Congratulations on your big adventure! We are so happy for you and hope our paths will cross again soon.